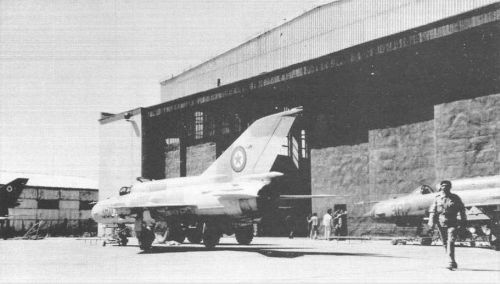 MiG-21 Fishbed types of Afghan Air Force in the First Half of the Eighties. 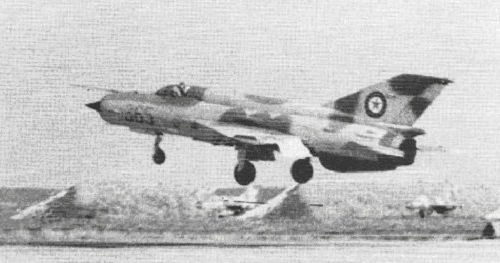 The Soviet Union decided at the end of the seventies to pass new MiG-21bis Fishbed-N fighter aircraft to Afghanistan. The decision was independent of the 1979 occupation. 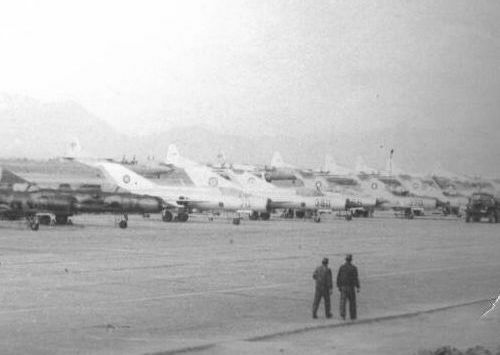 One squadron (about 15) of factory new MiG-21bis Fishbed-N arrived in Afghanistan between 1979 and 1980. 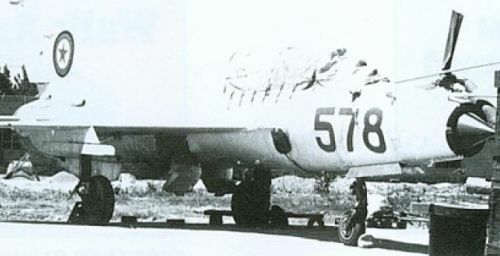 The factory new fighters were equipped with an RSBN navigation system. They received standard sand and brown paint at the factory. 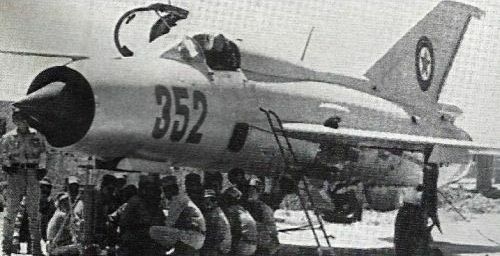 At that time some new MiG-21UM Mongol-B training aircraft arrived. - 10.09.1979 Crashed in Bagram air base while practicing for an airshow. The soviet instructor pilot died. 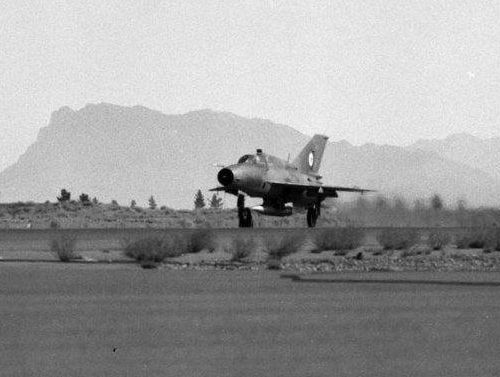 - 06.02.1980 The afghan pilot lost control during landing at Bagram airport. He ejected. 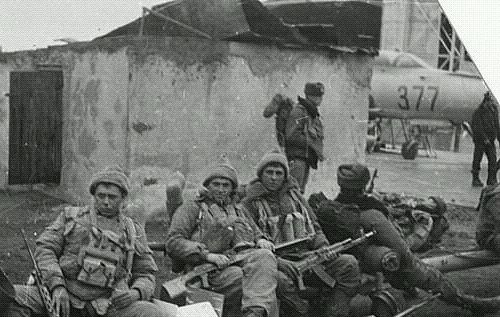 - 07.04.1980 The aircraft crashed close the Bagram airport on a routine practice sortie. The young afghan pilot died. 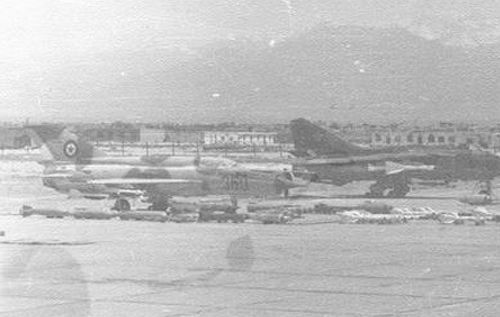 - 13.09.1980 Lost engine and crashed while trying to land at the Kabul airport. The afghan pilot died. 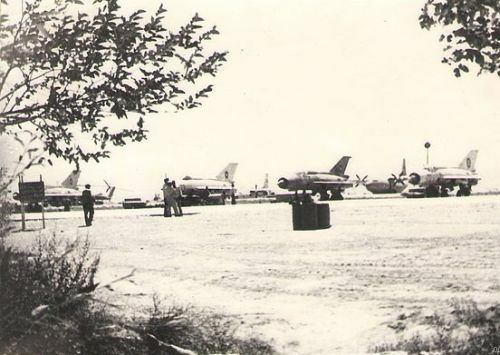 Afghan MiG-21bis Fishbed-N and soviet MiG-23MLD Flogger-K fighters with weapons. 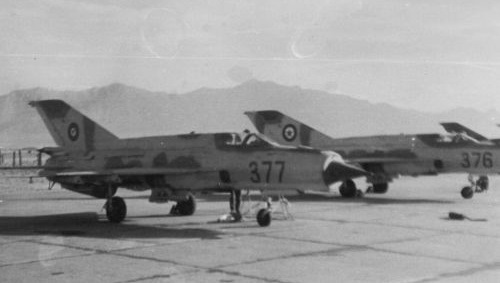 The afghan 322nd Fighter Air regiment’s one squadron used the new MiG-21bis Fishbed-N model. 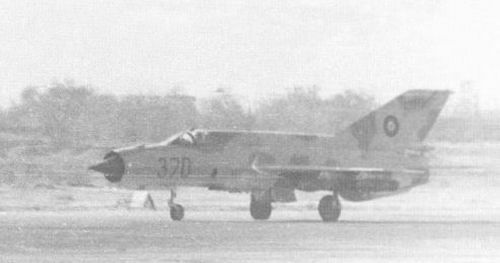 The old MiG-21FL/PFM Fishbed-D/F fighters was merged into the regiment’s other squadron in the early eighties. 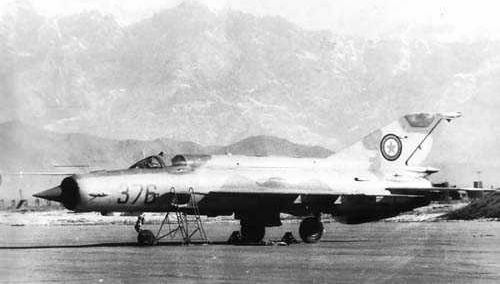 Old afghan MiG-21U Mongol-A (b/n red 578; s/n: 661719, factory date: 1966) training fighter. 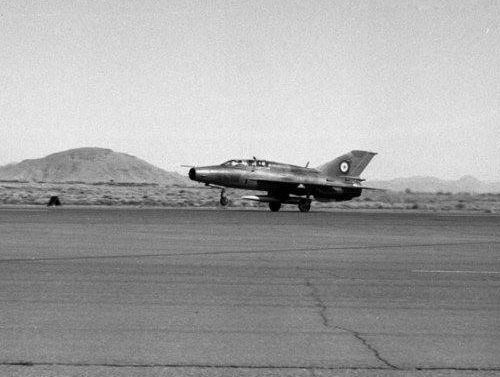 Ground instructor MiG-21PFM Fishbed-F (b/n red 352; s/n:947608; factory date: 1968) aircraft in the eighties.